My Brothers, their trip to India, and Part 1 of how they got there. Brothers can do a lot of things together, few things are as life changing as heading to the other side of the world to build water wells and minister to people in a third world country though. No spring break or shopping spree’s for these brothers, instead they’ve been working hard to raise funds to head to India for two weeks. It wasn’t that long ago these brothers were searching for things to provide them adventure and life. Those things left them broken, depressed, empty, and with a lot of messes to clean up. But then God. Have you ever had a “but then God” moment? It’s the one when you’re at the lowest point with nowhere to turn and you just can’t ignore that in your own strength you cannot keep up with this rat race we call life. And for some of us, we’re not just empty we’re living in the negatives. It’s not a good place to find yourself. BUT freedom. But Then God. But Then God – pursues. But Then God – moves. But Then God – intervenes. But Then God – does the impossible. He sets our heart free. He covers our broken heart and world with hope, peace, and joy in spite of the circumstance we’re standing in. But Then God moments change everything. These brothers are living testaments that God has a plan, prayer changes things behind the scenes, and the greatest adventure anyone can embark on is a Jesus one. The last year has been a faith journey like none other for them both. I encourage you to ask them about what God has done in their life in the last year and listen to their story. You won’t regret it. You will be encouraged to believe maybe for the first time….or maybe just believe AGAIN, that God is good, faithful, our healer, our provider, our sustainer, our comforter, our friend, and our hope. Now, these brothers will be packing their bags and heading to India together to show people the love that has changed them forever and to practically serve villages by providing for them tangible by bringing them clean water. Together (me + you + them), we can actually change the world. Here’s a little more info about the trip! This year Cliff and Joshua joined the LEAD Internship at Church of the King. This full time internship has fully engrossed them in learning more about Jesus, developing new friendships, and given them endless amounts of ministry opportunities by serving during the week and weekends in the various church ministries. 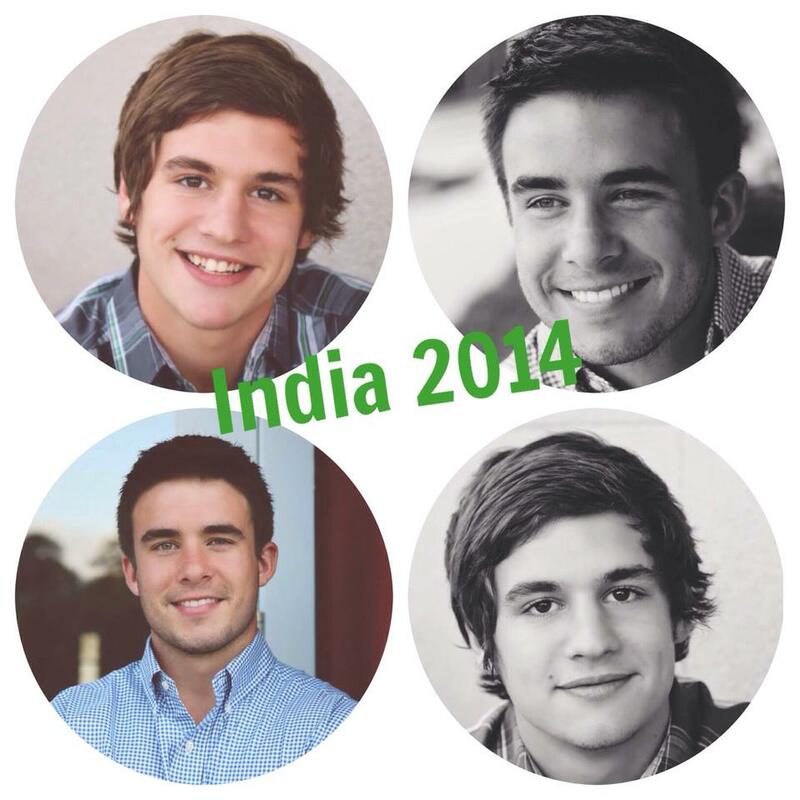 A group of LEAD students will be travelling to India from April 3- April 13, 2014 on their first intership mission’s trip. They will be hiking to unreached tribes to plant churches and bring the message of Christ to unreached people groups. The trip will focus on practically serving others, because we know through practical serving peoples hearts are softened and opened. They will be heading into the area of Madurai with two church planting teams to help minister to locals as well. The focus will be the Hindu population and helping to invest our time with different churches along the way. We’ll be sure to keep everyone up to date on how his trip is going once they leave! Check out these cool videos on India a friend made after his time there. It’s a little glimpse of their future. 30 Days of Healthy Eating – for the busy, on-the-go, I have no time, humans.